Rotorua has an amazing array of activities and attractions...so many that we can only give you a brief glimpse, but we would be very happy to help you plan and book any activities and tours during your stay with us. You may also like to view our list of FREE Rotorua Attractions, and information about Rotorua's dog exercise areas. Rotorua has more than it’s share of adrenaline-pumping action. Our dramatic natural settings provide the opportunity for thrills and adventure even for the most daring. Run, slip and slide down the slope of an extinct volcano. Race down a mountain side on a luge track…. jump from bungy towers. 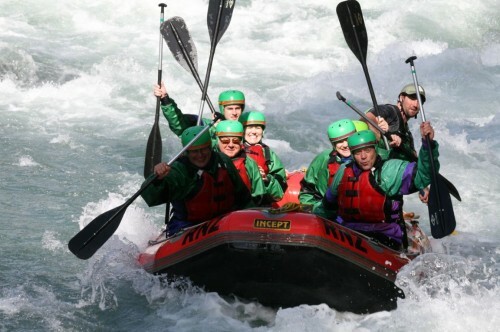 Throw yourself down white water rapids on a raft, or take a wild ride on the highest commercially rafted waterfall in the southern hemisphere. Rotorua is world famous for it’s unique geothermal wonders. 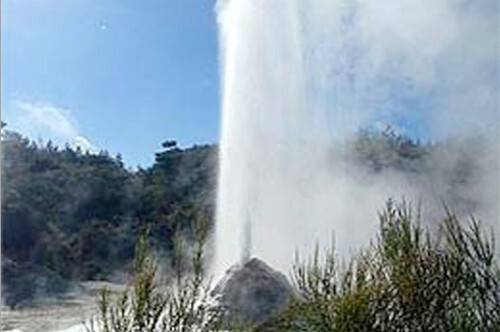 At the four main thermal areas, Whakarewarewa, Waiotapu, Waimangu and Hell’s Gate, you can see boiling mud pools, steaming vents, to magnificent geysers shooting skywards. For pure relaxation, visit the Polynesian Spa with it’s 35 hot mineral pools. Rotorua is surrounded by game of many species... Animals include Oppossum, Rabbit, Wild Pig, Wallaby and a number of Deer species (Red, Roosa, Sika, Fallow, Sambar). Freshwater includes Rainbow and Brown Trout. Saltwater includes gamefishing for Marlin/Tuna as well as bottom fishing and surfcasting. Our excellent guides/charters will ensure a successful catch. Rotorua is a mountain bike haven with so many trails for people of all abilities. 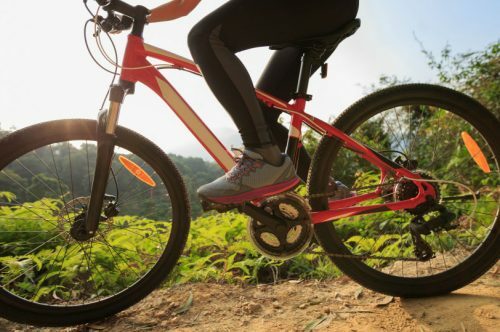 We have put together the Ultimate Guide To Mountain Biking in Rotorua, this guide will have everything you need to know from repair shops, mountain biking events and directions and information on the best mountain biking trails in Rotorua. Check out our guide here! Rotorua is known as one of the homes of traditional Maori Culture and there are a range of cultural experiences on offer. 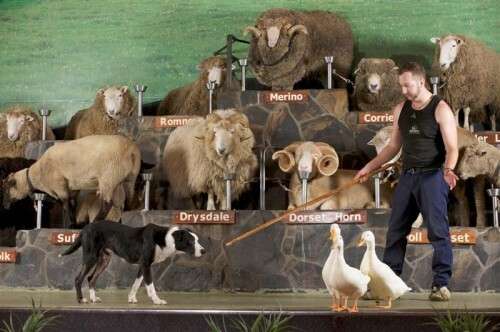 We are also home to New Zealand’s biggest and best farm show! 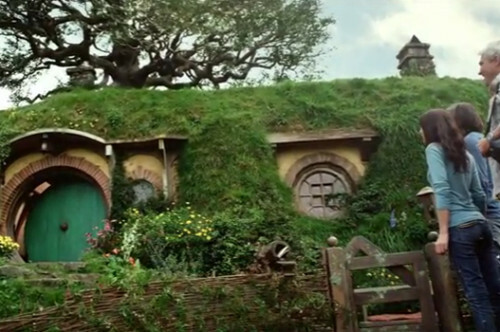 For a real taste of Maori culture, some highlights include Whakarewarewa Maori Village, Te Puia and Tamaki Maori Village. For something more rural and to experience farm life in a fun and safe environment, you can’t go past The Agrodome. Interested in more Maori & NZ Culture activities? 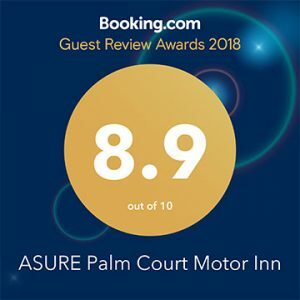 Check out our blog post here, or ask at reception for our favourites. Offering all you could wish in fun, adventure and relaxation on the water. Sail, cruise, kayak, waterski or fish. 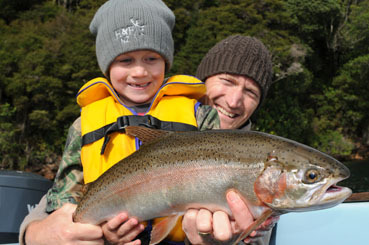 Rotorua boasts some of the best trout fishing (both rainbow and brown) in the world. 10lb plus trout are not uncommon in this region. You will even find fishing guides who will guarantee you a trout or your money back!! 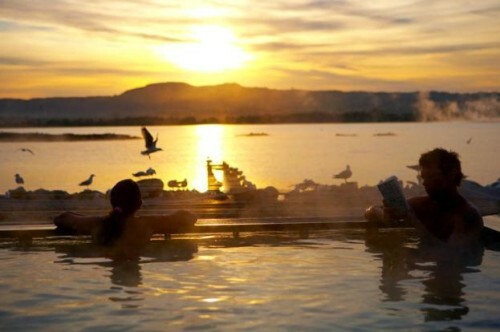 Rotorua has a number of spas offering spa therapies for the weary traveller. Relax in a hot mineral pool, luxuriate in the warmth of a thermal mud bath or mud pack. Enjoy a traditional therapeutic massage or a massage utilising hot and chilled rocks or under jets of warm thermal water. You’ll leave feeling renewed. Within minutes of town – you can be in a giant Redwood grove, on a farm, amid a native forest, at a trout sanctuary or wildlife reserve. 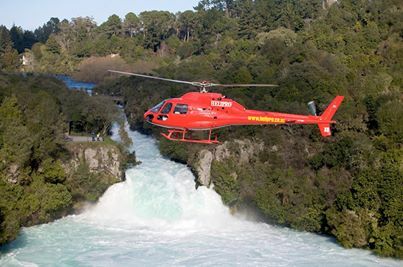 You might like to explore Rotorua and its attractions with one of the local tour companies. Your expert guide will tell you all about the area, it’s history, people and the legends handed down through generations. Take a flight over, or even land on, Mount Tarawera, a dormant volcano with spectacular colours and deep volcanic craters. If you enjoy cycling we recommend Happy Ewe Cycle Tours, who offer a cycling tour of 27 locations that best represents Rotorua’s historical, geological and cultural identity. 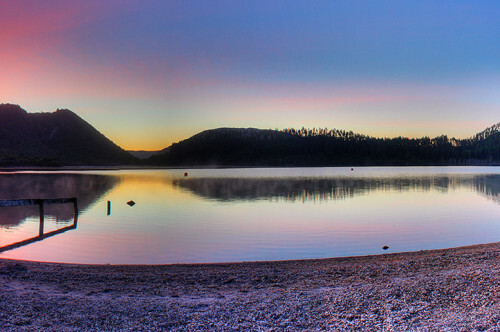 Within One Hour Of Rotorua You Can….